For the keen green thumb or suburban home farmer, a root cellar may be the ideal DIY project. Used originally in country manors of days gone by, a root cellar creates a naturally cold environment in order to preserve fruits and vegetables throughout the year – essentially the first fridges. A root cellar is particularly useful if you are a green thumb with a vegetable patch, allowing you to harvest your hardy root veg in the autumn and preserve them throughout the year for you to use when you please. Here’s a simple tutorial to help you get started. Have an explore of your basement or garage to determine the best place for your root cellar – ideally somewhere very damp, yet ventilated. Provided that your root cellar has some damp, your vegetables should keep. Also consider the area in terms of ease of access, so be sure that you can easily open and close the door, and that you have adequate space for the amount of use you expect. If you have a rodent problem, call an exterminator and choose a space free of vermin. 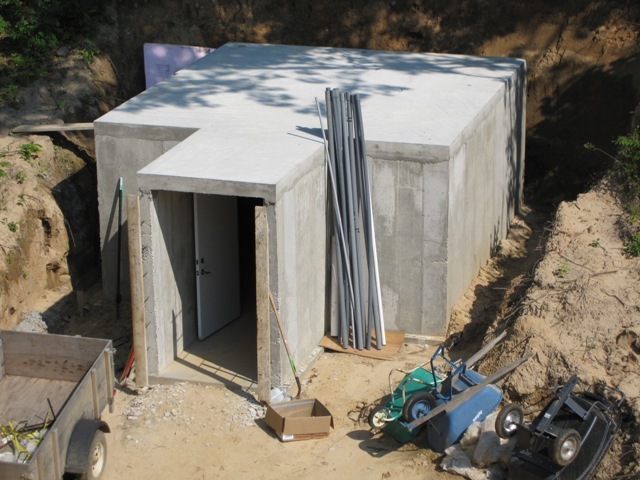 Construct your cellar out of a material impervious to liquid – wood is out of the question, but cement boards or stone work well. Use an impact screwdriver, available at Anglia Tool Centre, to connect these to form your structure, and add an insulated metal ceiling. Remember to plug any gaps with fibreglass insulation and expanding foam. Once your construction is complete, it is time to fit your shelves. This is most easily done by constructing two or three bookshelf-type structures, which you can then place inside your root cellar and affix to the interior walls for safety. Be mindful of your cellar’s contents – bigger veg will do best near the bottom where it is coldest, while onions and garlic can be safely kept on the warmer, higher shelves. Your door should be constructed of insulated metal and fit as snugly as possible to the frame, while remaining accessible. One option is to create a saloon style door, so you can open one door to grab something without letting all of the cold out. Be sure to invest in a decent lock, lest any little hands or paws uncover your stash! Previous Previous post: How to find the best Outdoor paving solutions in the area?